The day, the events, the footage all speak for itself. So many lost, so many affected and so many, I’m sure, still suffering. As we take a moment today to remember that tragic day of September 11, 2001, let it remind us of what matters, what’s precious, and embrace those things – each other – daily. It’s difficult to watch this video. It’s frightening. It’s sad. But I can watch it by choice. There are others who watch it daily in their minds without choice. 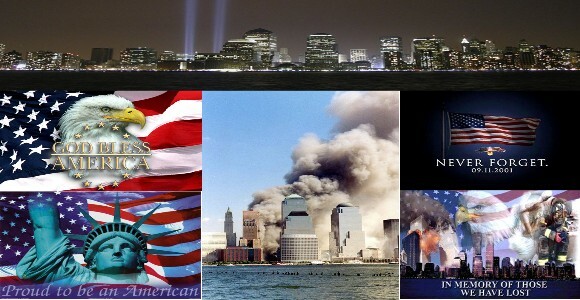 But let’s stand united today in memory of that fateful day 11 years ago. Let the video remind us of the preciousness of life and what happened that day. And then, if you would, share a story in comments of “Where Were You When The World Stopped Turning” and let’s stand together united in memory. Where Were YOU When the World Stopped Turning . . . I was in the produce aisle at Market Basket, Burlington, MA when all of a sudden people stopped short in their tracks and simply stared wide-eyed at each other. The moment is frozen in my mind. I left the market and drove to the high school where both my sons were attending and just sat outside crying … for the world’s losses, for the fear running through my body and for the two most beautiful gifts I’ve ever received in my life, my two sons, safe and sound in classrooms. They arrived safely home from school that afternoon and we all sat quietly together staring at the horror unfolding on the television before us and the world around us. Never forget 9/11 – but also, never forget those that matter in your life because THEY are all that matters. In memory of everyone and everything affected by this tragic day, including how blessed I felt to be a mother and for my two sons being safe and to Jason DiBlasi whose life so changed so shortly thereafter, God Bless and God be with you ! To the world – I LOVE YOU ! To my sons, Robert and Eric, I LOVE YOU MORE !!! 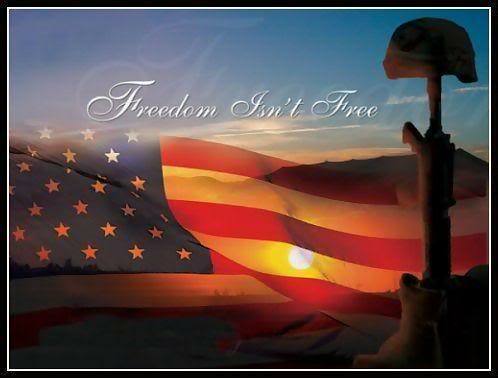 To our service men and women everywhere, God Bless you, God be with you. And to God – thank you – my gratitude for all you’ve given me is non-descript. It is in you I trust. So, share with us . . . WHERE WERE YOU WHEN THE WORLD STOPPED TURNING ? A very good reminder not to dwell on the problem . 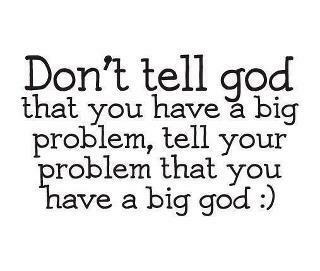 . . because when you’ve got God on your side, nothing is a problem. The photo came through my newsfeed from the facebook page of scientist, visionary and author Gregg Braden. As the sun begins to shine upon the unofficial start of summer this Memorial Day weekend, let us not forget the darkness that fell upon others in order for this day to exist. Take a moment to reflect on the freedom you have, what it cost and how it was achieved. Remember today but be grateful always. To those who served . . . thank you. To those who died . . . I’m so sorry but thank you for what you gave. And to those who suffered the loss of a service person, I cannot imagine your feelings. I’m so sorry for your loss and hope somewhere, somehow you find peace of mind. Happy Memorial Day to All . . . I found it quite moving that in this day and age it’s so much easier to share things with so many so quickly. Oftentimes, sadly, days like Veterans Day go unnoticed to some as nothing more than a day off and/or to catch up on things. But with the infusion of social media it’s quite moving all the stories, memorials and honors being shared around the world. 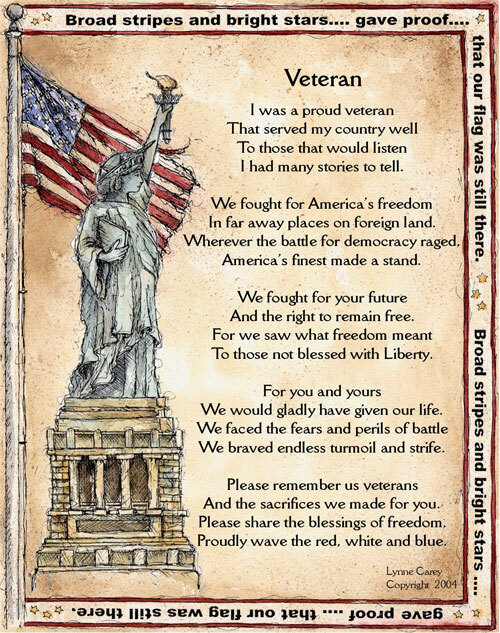 Whether you are a veteran, know a veteran, have served, lost your life serving or are serving, today is a day for “us” to honor “you” and “your service” to this land we call FREE. Nothing’s free … and today we’re reminded of that by honoring all service men and women everywhere. And sometimes things are quite impromptu and have lasting effects. The video below was a live concert encore. What happened was so moving the atmosphere became volcanic with applause. I never forgot it and I’d like to share it with you. Take a moment to watch and think about “honoring” all our service people. live September 17, 2011 in Boston ! Are You Dead – It’s May 21st ! Some people Inspire Us while others frighten us. It’s May 21st – if you’re reading this, guess what, YOU’RE ALIVE ! Were you frightened by the notion that the world was going to end today ! Someone reminded me last night a bit after midnight that the world was going to come to an end today. Well, I slept in (that’s how worried I was), the sun is now shining (and that’s been a rarity in Boston lately) – and well . . .
It’s a beautiful day to be alive – as is every day ! And here’s a option that joined me for coffee this morning ! Be Not Afraid – You’re Here – Get Moving – There’s Lots To Do ! As I watched I thought, wow ! so many times people get to points in their lives where they just don’t see, feel or care if there’s a way out. And hearing from someone as talented and successful as Shania Twain sharing her journey down the same dark, lonely road . . . well, that’s inspiration. Today may not be the most perfect day in the world to talk about struggles. But it is the most perfect day to talk about inspiration. Somewhere along our paths in life we’ve all struggled and/or watched or known of others struggling. The level of the struggle doesn’t matter because to the person going through the crises it is GINORMOUS ! If you’re a country music fan then you’re well aware of Shania Twain, her childhood, her rise to fame, her success and her new struggles. But did you know she was becoming afraid to sing? And did you know she realized there was only one person that was responsible for the outcome of her successfully carrying on in life? “Why Not” premieres this evening on OWN (Oprah Winfrey Network). It’s Shania’s new tv show. It’s Shania’s journey forward. It’s Shania reaching out for and with inspiration. It’s Mother’s Day. The show airs late in the evening (11 pm ET) so kick up your feet, tune in, be inspired . . . then pass it along !